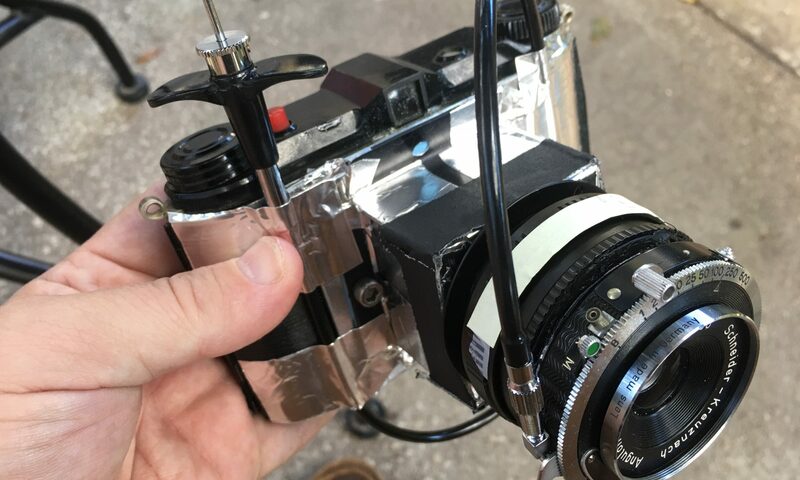 The most unobtrusive viewfinder I’ve come across is the Voigtlander Kontur, It’s basically a small, blank, hotshoe fitting lens that operates through the bifocal nature of vision. The finder contains a back illuminated oblong that corresponds to the focal length of the lens and frame size, mostly 50mm although I have a 6 x 9 version. By keeping both eyes open the frame projects itself on the retina, a kind of lo-fi implant. For anyone who shoots at hyperfocal distances it’s easily the most instinctive viewfinder I’ve come across and resembles a photographic frame hovering in mid air. Sounds great. I will keep an eye out for this. Thanks for the heads-up on the Kontour. I’ll check it out!